Franklin Falls or 'The Dam' is a NEMBA maintained trail which provides little in the way of technical riding, but has a lot of great, fast, winding single track. Here you'll find quick, short, heart pounding climbs, short downhill sections, roots (not too bad), one very small plank crossing a river (on Whaleback), and a few log obstacles (quite small). There are about ten single trails, but you can mix it up however you like. My favorite route is starting from the parking lot, take the gravel road through the chain link fence, which will meet up with another gravel road, which you'll follow. THAT will merge with another road, but keep on heading forward, turn right on the next small path, and immediately on your right will be the beginning of Whaleback Trail. Whaleback will criss-cross that small path a few times, but keep going. Eventually, you will come out on a road that doesn't look well used, and up the hill immediately in front of you begins Middle Trail, which is marked in orange. From here, I like to go to Chicken Ravine, and to do that take the first right (marked with orange), and continue on. Pass the entrance to Bee Trail, and the next one on your left is Chicken Ravine. This is by far my most favorite trail. You can fly down the middle, but where's the fun in that? On either side of the ravine, you'll notice paths of other bikers going up and down the walls of the gully. Do it. At the bottom, you'll come out on the beltline road/service road. Take a left, skip the first trail on your right (marked in red) and take the next trail on your right, which is the Lost Wall Trail. That will take you to the yellow-marked Heritage Trail, which will come out back on the service road. Take a right, and a little ways up on the left continues the Heritage Trail. I usually just take heritage back to the middle trail, and from there I hit Moose Gully back to the gravel road, and then back to the parking lot. Takes me about an hour, and my friend is usually done running by then. I am not the best direction-giver, but here is the link to the map. Franklin Falls is an excellent place to bike. The ground here soaks up water like nothing else, and I've yet to see a puddle (except on the beltline/service road, near the river when stuff likes to flood during the spring), and attendance is really low, yet the trail seems to be very consistently maintained. One warning: if you're like me and want to ride out onto the dam, at the very end, past the gazebo, where the grassy land ends in something of a point next to the fence, there is an underground yellowjacket nest (as of April 12, 2010). Just be careful. Review: The trails are fantastic, but I went November 4, 2017 and found a few trees down that you had to climb over, so watch yourself when riding down the trail. Other trees you could ride over no problem. Review: Very nice (flow) trail network. My personal favorite was Sniper. 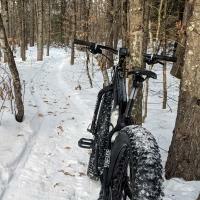 Review: Awesome single tracks. Definitely worth checking out!! 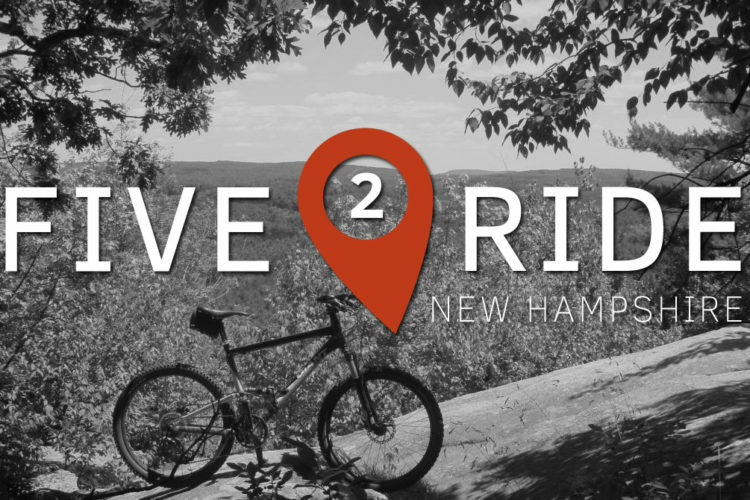 Review: When I moved to Bristol NH from VT I was bummed at finding no good riding trails close to home. Highland is supreme downhill but I like to climb, too. Then I found Franklin Dam. At first I was disappointed at the lack of tech trails, but now I freakin love riding fast on all the short trails. Sniper is GREAT, they're all great short trails for fast ups and downs or just an easy ride for those that want that. 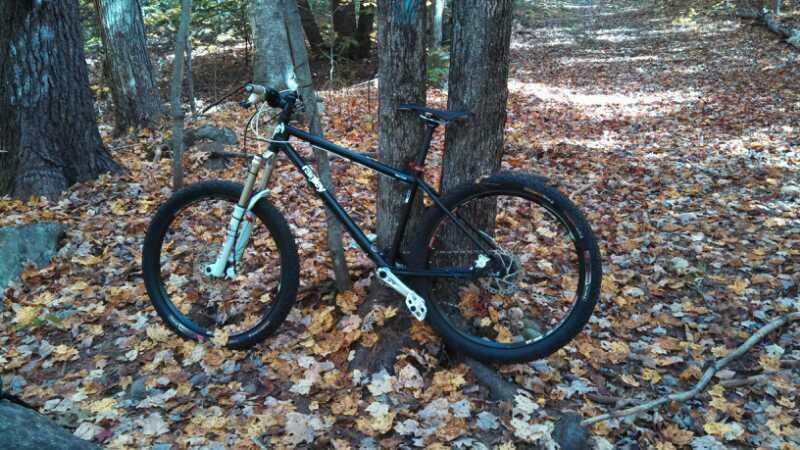 I like the fast ride and I have no problem riding the same trails 3 or 4 times to make a good 2-hour ride. The ups are short so you can stay in gear and power up most climbs. The park isn't that big so it's hard to get lost for long, as there are access roads/trails around the whole perimeter that lead back to the start. If you find the Middle Trail you're all set. Most trails eventually cross the Middle trail. That goes to Heritage(Which parallels Beltline) or Coleman. Left on Heritage and a Right on Coleman takes you back where you started. Whaleback parallels Coleman for a nice ride out of the park. For a good taste of the park and a warm- up start on the Rogue Trail, which is the first trail you'll come to. When that comes back on the Coleman Rd. take that past Moose Gully and hop on Sniper for a good ride. That comes out close to where it starts on Coleman. Take a right and go back up to Moose Gully for another sweet ride that goes to Middle Trail. By then you are pumped and ready to go. Caddywhompus, Stump, Bee are all good rides worth doing again, and again. When you get to the Mighty Chicken, get ready. It is a good fast ONE-WAY downhill ride. The Chicken Ravine trail is the crevasse it slaloms down and the fastest direct ride (or hike-the-bike) back to the top of the Mighty Chicken. I ride at night so I was pleasantly surprised to find that trail. My riding buddy of 20 years moved from VT to Concord so we meet at Franklin Dam Trails which is 25 minutes north for him and 25 minutes south for me. We both just switched to 29ers with 3" low pressure tires and find these trails are ideal for that. We haven't gone past Beltline yet to check out Lost Wall, Cellarhole,Rusty Bucket or the Salmon Brook trails yet. I'll let you know when we do them. Review: I come up to newfound lake every year for vaca. This is my second visit. I'm surprised how hard it is to find good mtn biking around here! Franklin is solid.. Lots of good trails with nothing too crazy. Much more rocky and rooted than I'm used to in PA but that makes things fun. There's never many people here during the weekdays. Review: The Core of Engineers knows how to host MTB trails, like one of our fave systems -Strom Thurmond in SC they did a good overall job. (Does have some unchecked erosion on roads that need attention aka waterbars.) Don't bother with Salmon Brook trail unless you seriously LOVE tight bouldery slick switchbacks. Otherwise all other trails are great - lots of flow and steeps to keep your heart pumping and designed to be fun in both directions. Facilities are clean, well kept and appreciated. Review: Excellent faster flowy smoother trails.. Easily navigated with some loose spots on a few trails.. Would happily go there again..
Review: There is a nice mix of trails at the Dam. Really has something for every ability level. Trails begin as fire access roads and branch off into the woods from there. You can choose to stay on flat and windy or challenge yourself with steep and technical. Advanced riders make sure to seek out the Mighty Chicken and Ravine. Review: Very good don't follow this guys direction they are all screwed up just look up franklin falls and you will find where to go. CHICKEN RAVIEN best trail ever very fun there are so many trails but really don't follow this guys directions me and my dad spent the hole morning trying to find out where to go! Review: I love single track trails... I'm 63 year old female... went with my 67 year old male friend -- we both get very psyched doing single track trails, but we both got scared Chicken Ravine -- not going down the middle but traversing back and forth. Midway I got off from one of them on the right side, and took a slight right turn to get back onto the middle ravine... my front tire hit a smooth moist large flat rock just hidden under the dirt and bam! down I went... bike fell to the right and I flew off the bike to the left, purposely. I'm fine but honestly I'm done with that trail. I need to face facts... I don't want any broken bones -- luckily I'm fine today... have sore shoulders from the fall... lower back... and I play a lot of tennis -- so no more crazy stuff like this for me. Will stick to trails such as Pine Snake... Ravine Trail is good too, but I did not go down the steep hill... after my fall, I was a little "chicken..." get it? Review: Very cool network of trails. The rocks and roots are tough but the real challenge here is being able to lay off the brakes. These are quick trails and there are some cool drops. Franklin Falls MTB Trail 4.75 out of 5 based on 20 ratings. 20 user reviews.